To get an idea of the size of this quarry (one of an estimated 300) in Italy look at the machinery/vehicle in the bottom left corner. 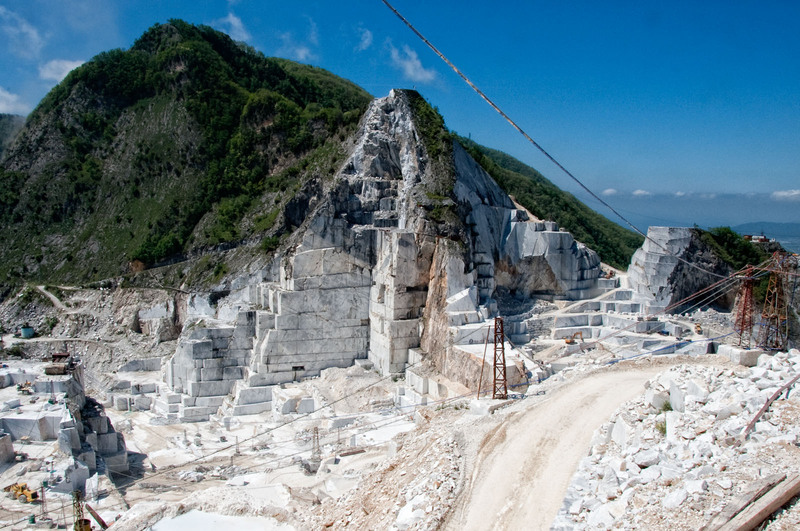 Approximately 500,000 metric tons are exported every month from Carrara Italy. 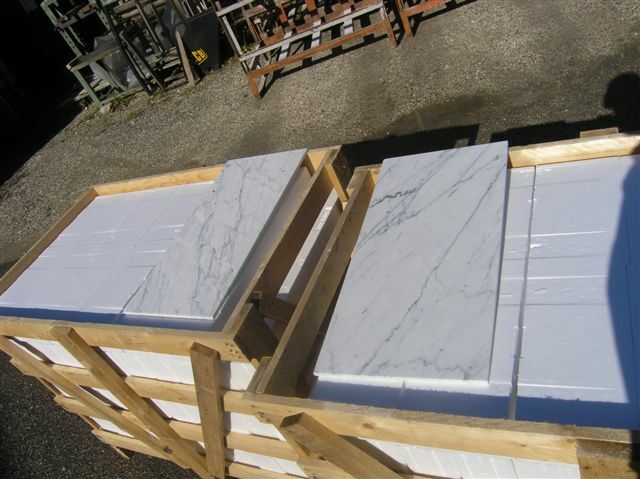 Crates showing Italian Carrara 12×24″ Marble Tile Honed. Premium quality. White base and clear veining. 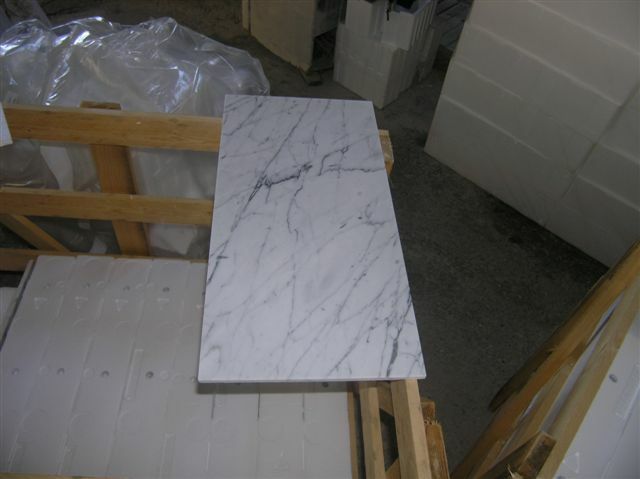 Another picture Carrara Bianco 12×24″. 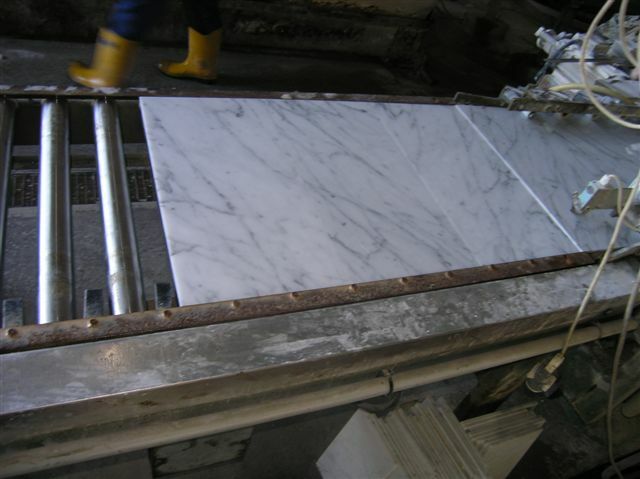 While not the greatest pic the marble makes up for it with this incredible veining and white base (the ETA of this particular lot will be June 1st 2013). 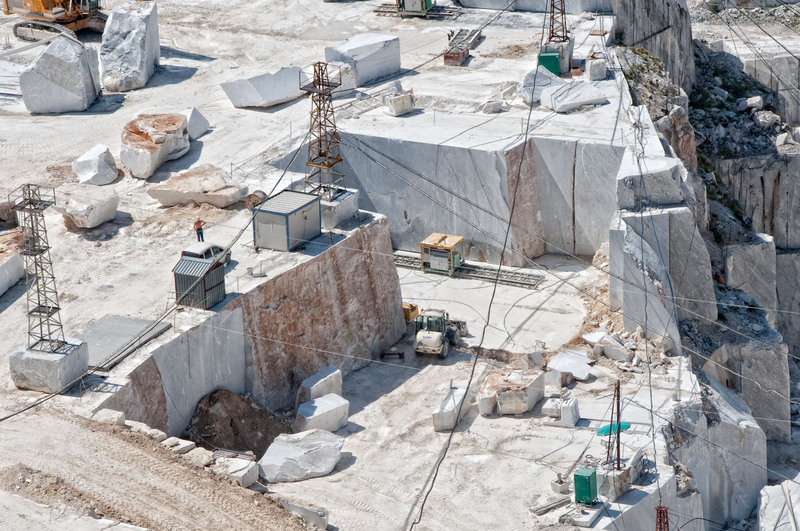 Taken from the quarries in Carrara Italy, the blocks are carefully selected. At thebuilderdepot.com we want the premium grade, whitest possible base with clear veining. This is what we want for our Carrara Bianco collection. It is not easy to get the best and not always possible, as it is a natural stone and we are subject to what is coming from the mountain at any particular time. However on this occasion/lot that is arriving June 1st 2013 it looks like we have achieved just that. The very best. Filed under Bianco Carrara Tagged with bianco marble tile, cararra bianco, carrara 12x24" carrera 12x24" carrara marble tile, carrara bianco 12x24, carrrara 8x16"